Petaluma Valley Baptist Church is a place where men are being equipped to become the men of God that God desires, their families want, and the world needs them to be. The Master’s Men meets Thursday mornings, 7 - 8 am, for fellowship and spiritual discussion, usually in the church’s Fellowship Hall. On the first Thursday of month, the group goes out for a breakfast fellowship at a local restaurant. Sons of Thunder meets Tuesday nights for dinner and Bible study, starting at 6:30 pm, in the Fellowship Hall. Dinner is $6 and served promptly at 6:30 pm. Bible study is from 7 - 8 pm. 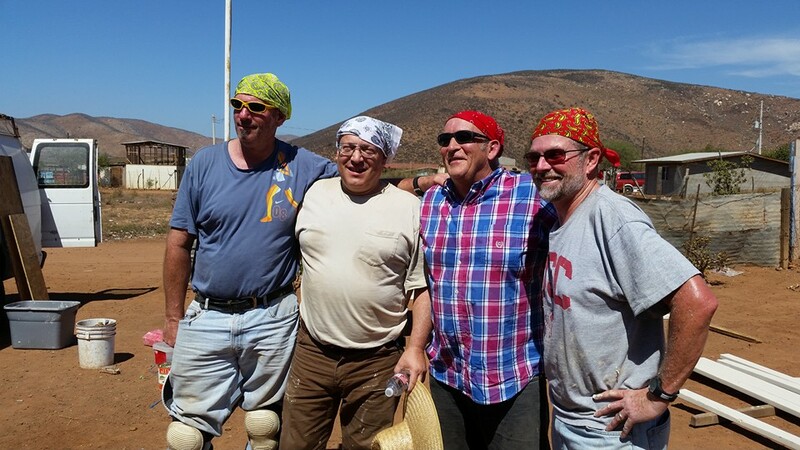 Men’s Mission Trips - Often to Ensenada, Mexico and partnering with YUGO Ministries, these trips center around home construction and community outreach. Occasionally, our mission trips are focused domestically within the United States to places in need of disaster relief and reconstruction (e.g. Middletown, California). No building experience is required. For more information or to get involved, contact Pastor Steve.